These are just a few of our recent projects to show a range of systems we have put in place. If you are interested in a particular system or special requirement, please get in touch and we will discuss your personal needs. District Heating System on a Farm in Gloucestershire. 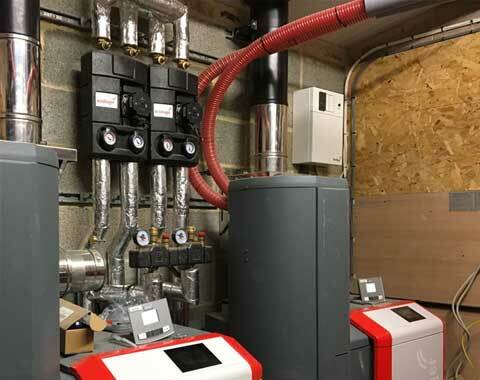 The 60kW Boiler provides hot water and heating for Farm House and Farm Bungalow via pre-insulated underground pipe work. The owner uses wood produced from the farm land. The system is eligible under the Non-Domestic RHI Scheme. 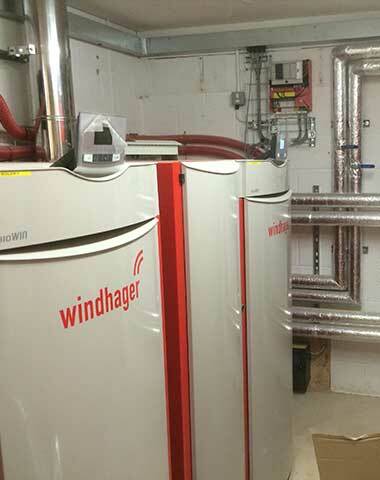 Plant Room for District Heating System in Oxfordshire. 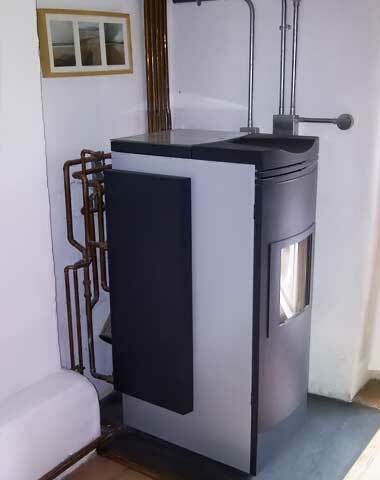 Two 35kW Biomass Boilers supply heat to a complex of holiday properties – which include 6 Barn Conversions and a Farmhouse. The system is eligible under the Non-Domestic RHI Scheme. 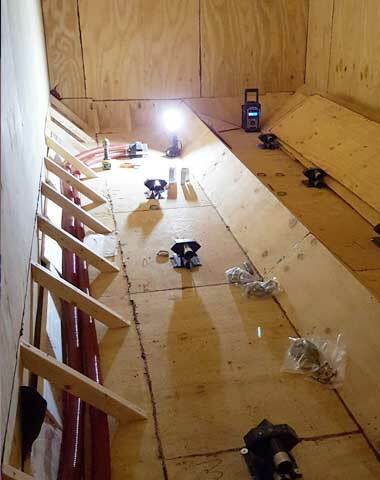 Home renovation; internal insulation, triple glazing and SIPS extension, Gloucestershire – upgraded heating system from all electric radiators to 9kW Air Source Heat Pump. The system is eligible under the Domestic RHI Scheme. 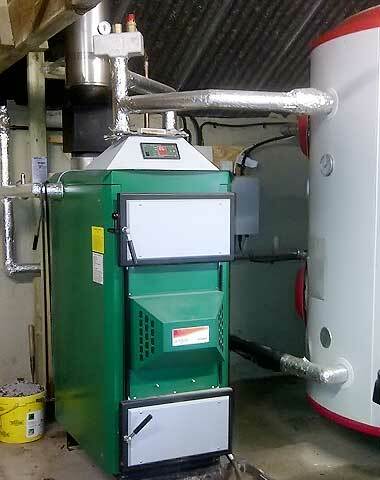 25kW Log Boiler and 1500litre accumulator supplying a new build Farm House and Annex in Gloucestershire. Under floor heating throughout ground floor, radiators on first floor. Two unvented cylinders provide domestic hot water. 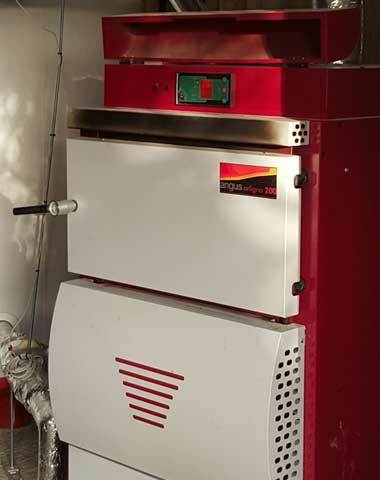 40kW Log Boiler which supplies hot water for heating and domestic hot water. The system is eligible under the Domestic RHI Scheme. 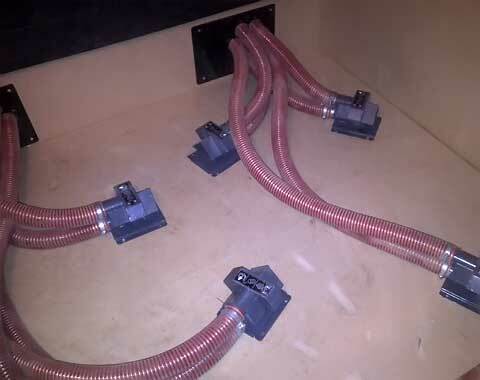 An example of a 2x three pellet suction system. 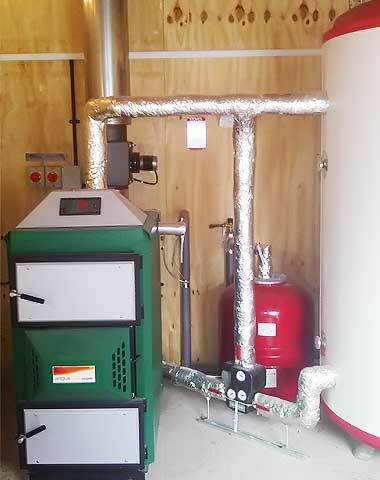 The pellet store is generally located next to the boiler. However, pellets can be sucked 25 metres. This photo shows the hopper before the pellets are added. Showing 2 x 15kW Pellet Boilers. 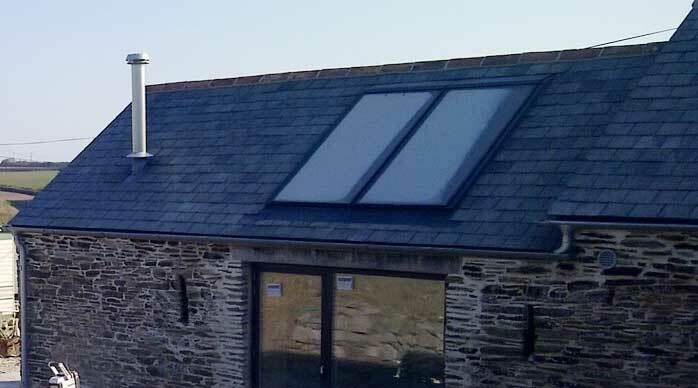 The system provides heating and hot water for a District Heating System – supplying a Farmhouse, Barn Workshop, Flat and Swimming Pool. This Pumpset serves one under floor heating circuit, one domestic hot water circuit, two radiator circuits and one towel rad circuit. 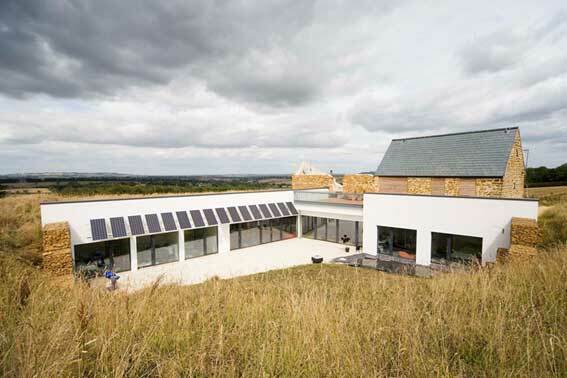 Cotswold Green Energy installed wood stove and solar thermal to load thermal store in the first house to meet Passivhaus Standard in the UK. 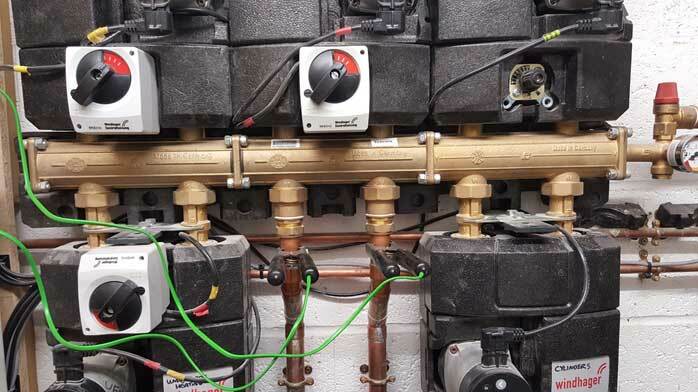 Domestic hot water generated by thermal store and heat transferred to MVHR via water to air heat exchangers. 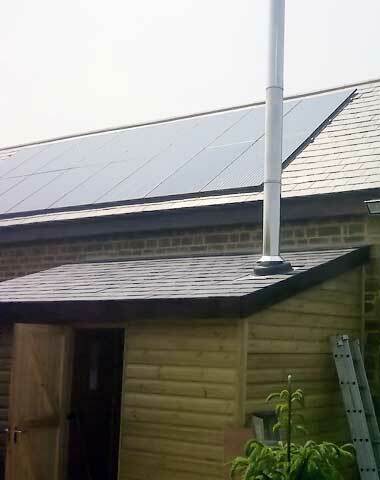 An example of a roof integrated Solar Thermal Hot Water System.